New, exciting information about our Braatz heritage! Are you a Braatz of noble blood? We are finding out more information by the day. 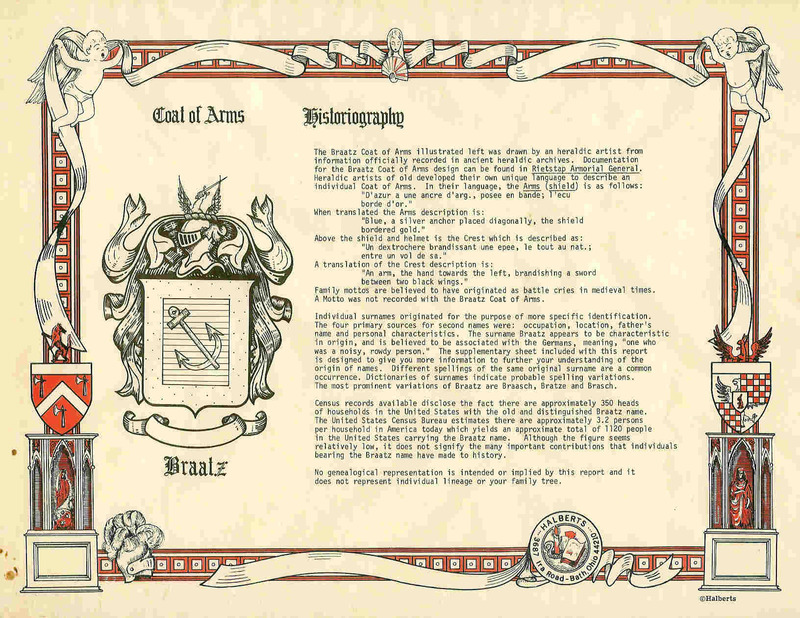 Here is an update on the Braatz Coat of Arms and the real history behind it. Update December 2008: We have now obtained a photo copy of the actual Prussian grant for the coat of arms discussed directly below. 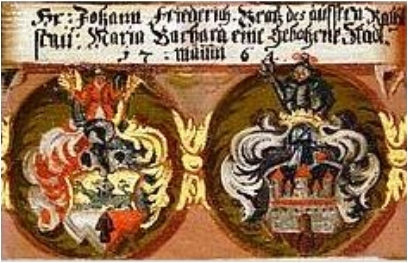 Here is the original record, including a black and white graphic of the original coat of arms. There are several differences from the coat that we have shown below, but they are minor and could be accounted for through artistic discretion. We are interested in someone who can read and translate German script, so that we may have a full translation of the lexicon. To view this record, Click Here. Upon translating the description given of the coat, it was obvious that those we have been displaying on this site were significantly incomplete. Rudi had a copy of a coat of arms he had purchased as a college student in the 70's in Pittsburgh, PA USA, that more closely resembles the one described here in the lexicon. 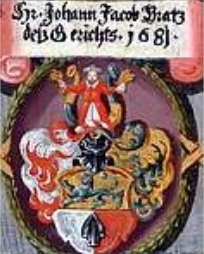 A copy of that coat of arms and description of the Braatz family that he had purchased can be found HERE. While this information was copyrighted in the 70's, the company is no longer in business and whether any other entity now holds copyright to it is in question. 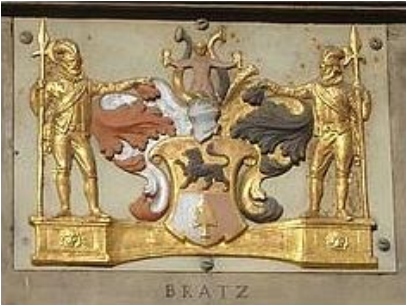 While this coat of arms could well represent some of us with the surname of Braatz, that representation is limited to those who can show descendancy to the Captain Braatz upon who it was bestowed. It should be noted that as of the First World War, there are no longer legal rights for family ownership of these shields. As a result, there are no legal limits on their use as anyone would see fit. 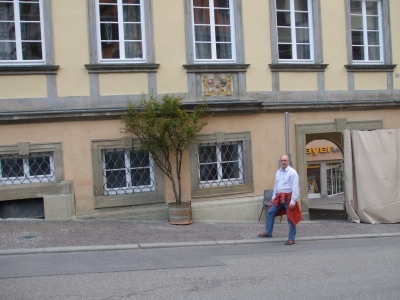 Rudi, Brazil, along with Richard in Illinois, USA, and Wolfgang, Edwin, and Bernardette Braatz, Germany, continue the research to allow us to uncover more truths about this artillery captain with our surname and the coat of arms he was presented in return for his homage to the Prussian aristocracy. They are also seeking out other possible Bratz and Braatz ancestors that may have been enobled.